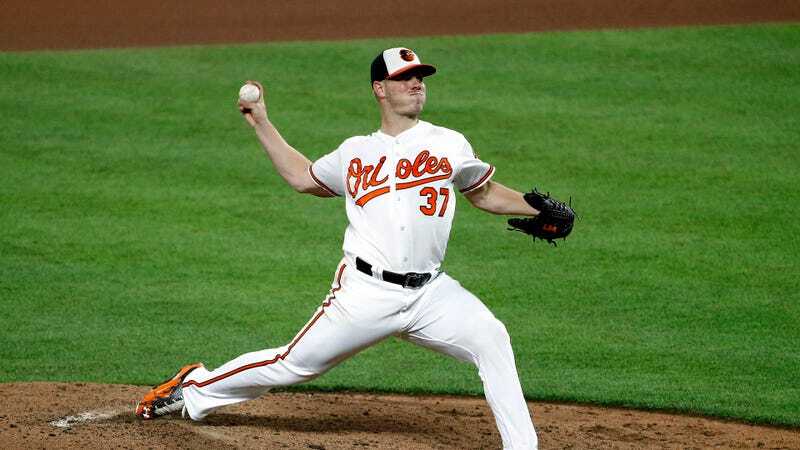 Since being selected with the fourth overall pick in the 2011 draft, Dylan Bundy has been an elite prospect, an injury-riddled question mark, a symbol of Baltimore’s many flaws with pitcher development and a presumed bust. Tonight, finally, he was what the team always hoped he could be: he was really, really good. Bundy threw a complete-game, one-hit shutout against the Mariners, which would be a notable feat for any Baltimore pitcher given how few and far between their complete game efforts are of any sort. (This was the team’s first this season.) With 12 strikeouts—thanks in large part to 11 whiffs on a gorgeous slider—and a nice round Game Score of 100, it was by far Bundy’s best showing in the big leagues yet. Tonight’s 4-0 victory was the best that Bundy has looked so far in a month where he’s generally been looking pretty good. While he has a 4.18 ERA and 4.56 FIP on the season, those figures entered tonight as 2.67 and 2.57, respectively, for the month of August. He’s been striking out more than 30 percent of batters—tonight was his third double-digit strikeout game of the last three weeks—and walking hardly any. This August has seen Bundy as the closest he’s been to what Baltimore expected from him years ago, and he was his very best tonight.